The Paws & Purrs Cat Pyramid lets your cat or kitten climb, perch, scratch, and of course, rest on its multi-tiered surfaces. 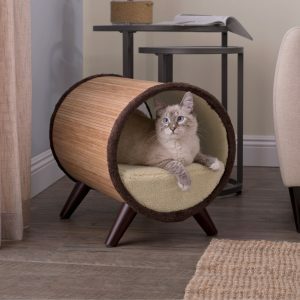 This cat pyramid is a complete jungle gym with climbing steps and 5.75-inch diameter holes that offer easy entry to each level. 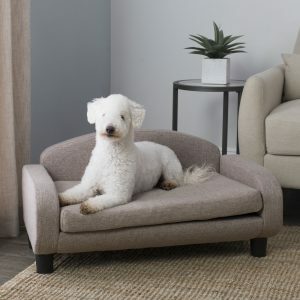 The lower-level cat bed features a 27-inch wide mattress with a removable, machine-washable cover. The 2-foot long carpeted sides are purrfect for scratching and stretching. 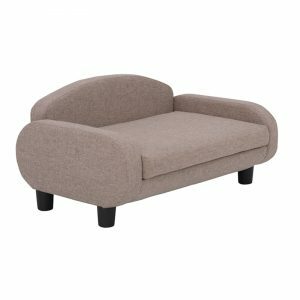 The sleek, modern shape and contemporary colors make it a great addition to your home. 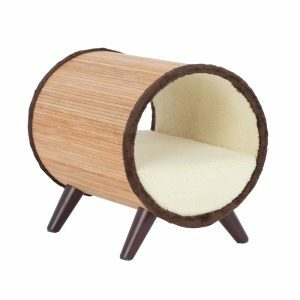 Say goodbye to dealing with dusty, dirty cat trees and start anew with this stylish, multi functional piece of pet furniture in your home. • Four Crawl Holes: 5.75" diam. • Weight Limit: 25 lbs.